Home › Lightdow Ld6000 1080P Hd Wifi Sports Action Camera Kit - 2.0" Lcd + 170 Wide ..
Lightdow Ld6000 1080P Hd Wifi Sports Action Camera Kit - 2.0" Lcd + 170 Wide ..
2.0 inch HD Screen & NOVATEK Original Chip - NT96655 Solution, Better Vision, Better Quality. Wide Angle, Fast, Powerful Photo Capture: Captures high-quality 12MP photos at speeds of up to 30 fps. 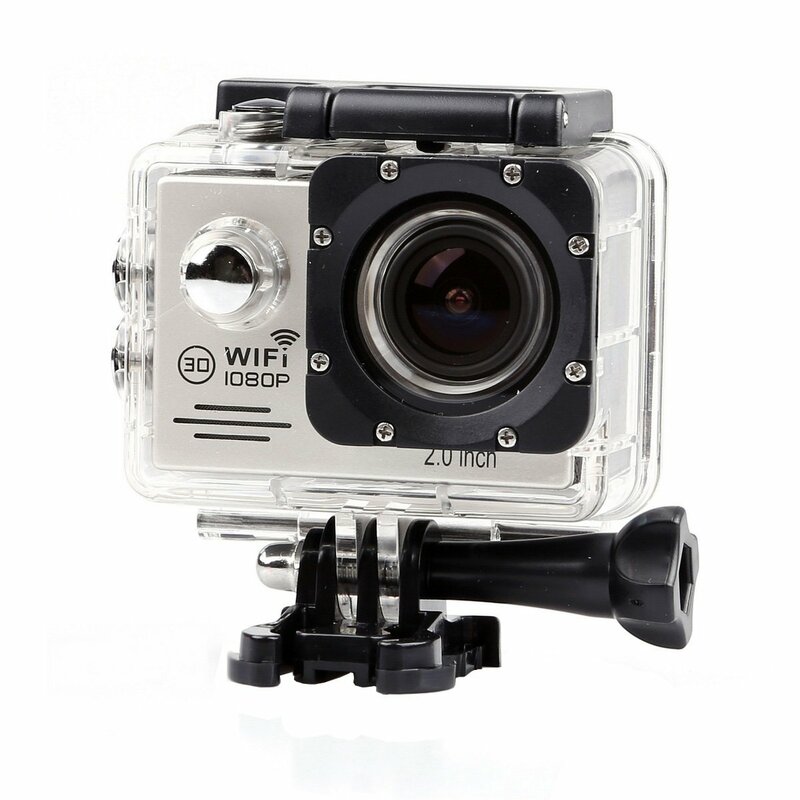 Support 12 mega pixel shooting, Camera up to 1080p/30 and 720p/60, Boasting an immersive 170wide-angle lens. Durable + Waterproof to 98' (30m): Designed to withstand extreme environments and conditions. Wearable + Mountable: Enables immersive self-capture during your favorite activities. Backed with Lightdow's 1 year hassel free return & replacement warranty for Quality-Related issues.